That is the mantra by which Cindy Killer, president of Atlantic Water Solutions in Alfred, Maine, operates. Killer, who comes from a family of well drillers, started the business 15 years ago after her son’s health issues prompted her to leave her family’s business and start her own. 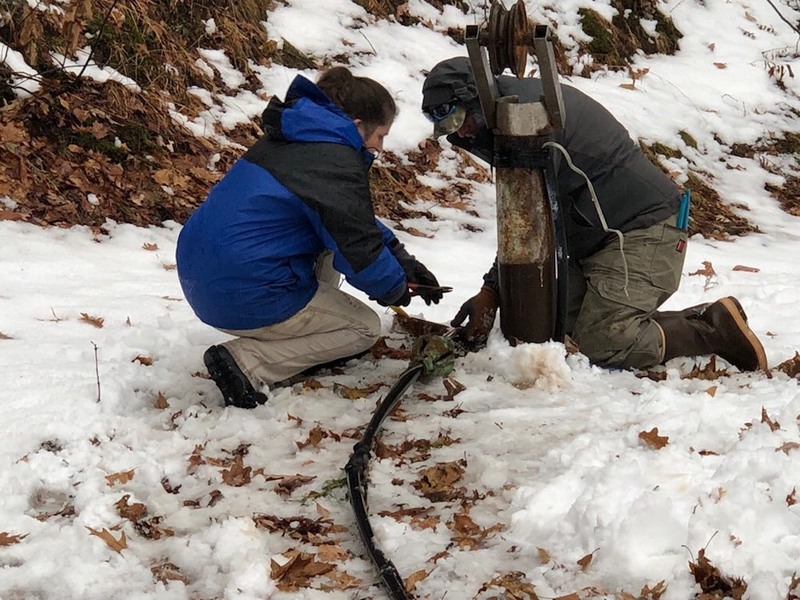 As a licensed well driller in New Hampshire, a master pump installer in Maine and New Hampshire, and a very small water systems operator, Killer uses her background to further diversify Atlantic Water Solutions’ offerings. Killer estimates the business is approximately 60% water filtration and 40% pump service, to a market that is 90% residential and 10% commercial. In the last eight months, Killer has added water radon remediation to her repertoire, and currently is looking into purchasing a frac truck to begin hydrofracturing wells. The dealership’s service area, which covers cities in southern Maine and parts of New Hampshire, sees high arsenic, uranium and radon in its water. “As different contaminants are found it becomes fun to create new ways of removing them and just keeping up with technology and what’s available and figuring out the best way to help people,” Killer said. The water in Atlantic Water Solutions’ service area often reports high levels of arsenic, uranium and radon. Aside from Killer, Atlantic Water Solutions has three other employees, all of whom feel like family, she said. When a new employee starts, he or she begins working one-on-one with Killer, getting a bulk of his or her training in the field. Killer also brings her staff to the Water Quality Assn. (WQA) Convention & Exposition and encourages them to attend classes, walk the show floor and network with exhibitors. At the 2018 show, Killer attended WQA’s Business Operations Boot Camp, which renewed her enthusiasm for her business and the industry. She plans to attend the 2019 event, as well. Killer and her team also attend the New England Water Well Expo, and because the business uses several Water-Right products, the team attends manufacturer trainings to learn more about the products and even dabble in sales. When it comes to advertising, Killer has tried many different approaches. The business has been able to generate leads by working with HomeAdvisor and Angie’s List, and Killer has purchased lists of new homebuyers in the area for a direct mail campaign—a technique she picked up from the WQA. Atlantic Water Solutions also has an updated website and Facebook page. Killer has tried her hand at television advertising, which “paid for itself,” she said, but she still is unsure whether she would repeat it. She currently is exploring ways to market to millennials, and that campaign might include a television ad with a different approach. All systems have labels with the dealership’s contact information on them, so that if the current customer were to move and leave their water system behind, the new homeowner could easily reach out for training and service. Ultimately, the Atlantic Water Solutions team aims to be a fixture in their customers’ lives. They do this through diverse training opportunities, as well as continually updating their list of services. Killer is optimistic about the future of both the business and the water industry as a whole. “The media thankfully has done an excellent job of making people very conscious of what they’re drinking, so that has helped our field tremendously,” she said. Even if a recession hits in the next few years, Killer thinks the water treatment industry is safe. “[Homeowners] may put off remodeling their bathroom or something, but they’re not going to not have good water to drink for their family,” she said.